Wild Youth is a new organization that is dedicated to bringing fun and exciting sport camps with great instructors to the youth of Saskatchewan. All of our coaches are current or former Huskie Athletes at the University of Saskatchewan. A shooting school designed to help elementary and high school players improve their shooting skills for next season. 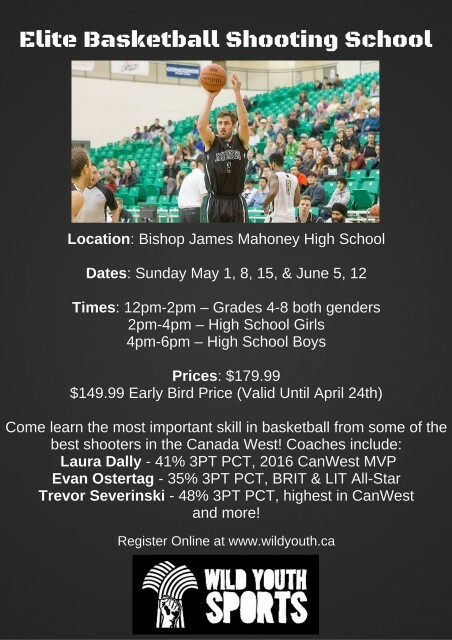 We think that this camp is a great opportunity for young players in Saskatoon to learn from some of the top players in province who want to give back to the basketball community. For contact and registration information please go to www.wildyouth.ca or please see the poster.